Cheryl Brock's artwork is built upon intensely patient observations. 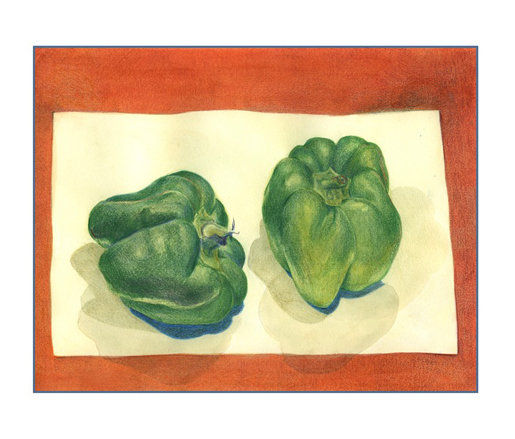 In this exhibit, she presents pieces of produce with the detail of an individual’s portrait. “We’ve known such bounty for so many years that we overlook how interchangeable the components of our food have become,” she says.